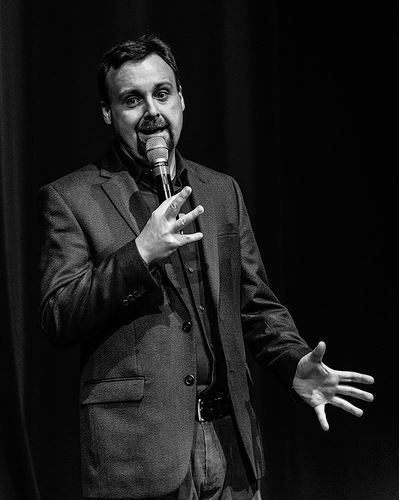 With his quick wit and commanding stage presence Jason Douglastakes his audience on a roller coaster ride of laughs from the word go. Incorporating a barrage of pop culture references, funny stories, and off the wall one liners you can't help but laugh at this goofy, crazy, and original talent. Jason's show pulls no punches and he refuses to sugar coat anything ... Jason tells it the way it is, the way it was, & the way it should be! Credits include - SiriusXM Radio, ESPN's College Game Day, and The Bob and Tom Radio Show. He's also been an opening act for Dennis Miller, Ron White , Brad Garrett, Carrot Top, Michael Buble , Foreigner, The Doobie Brothers, Beach Boys, & more.